Berkeley is my creative ground zero. I love being from Berkeley. Growing up there isn’t what many people imagine, and I am often amused when I see Berkeley reflected through the lens of people who haven’t spent much time there. 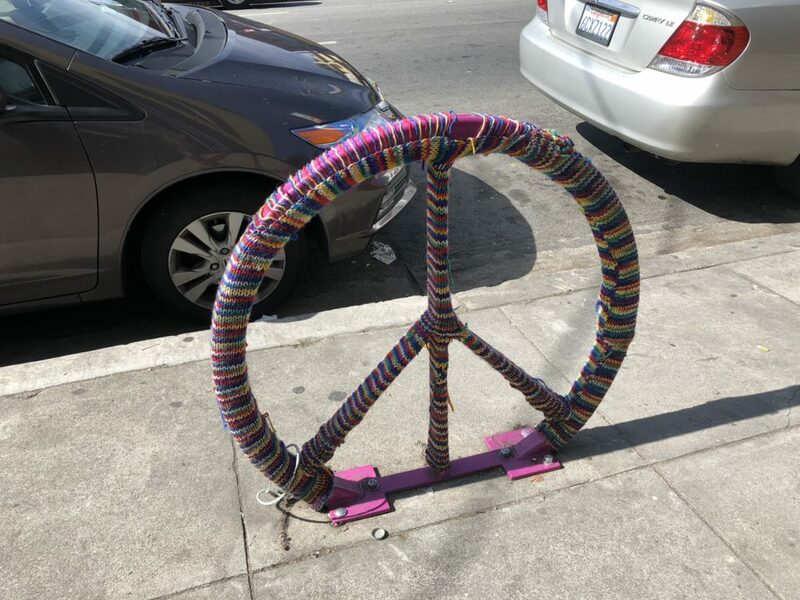 Many outsiders believe Berkeley is still a haven for hippies – a phenomenon that peaked nearly half a century ago – while others equate the city of Berkeley only with the culture that surrounds the University of California at Berkeley (Cal). 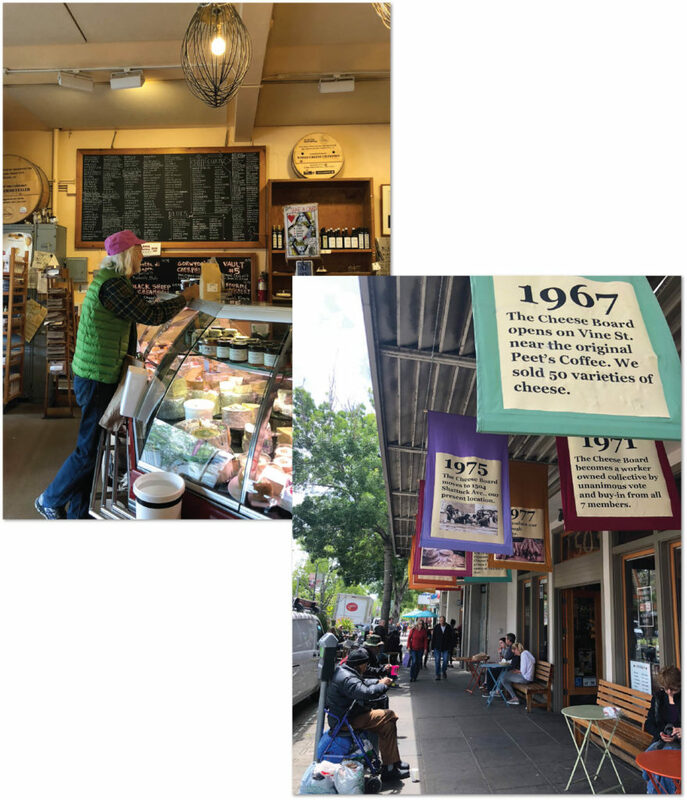 Both of these perspectives miss many of the intricate, vibrant and sometimes opposing flavors that make each day in Berkeley something of an adventure, even after all these years that I’ve lived away. Berkeley never is entirely predictable. I was raised in the hills, actually in a small unincorporated area called Kensington, home to many professors, professionals and not a few conservatives (believe it). My childhood was mostly insulated from the rancor roiling down on the Cal campus, filled instead with average kid activities: Girl Scouts, music lessons, ballet, swim team – tame stuff. My mom was dedicated to taking me and my brothers all over the place, introducing us to the simple pleasures of the Bay Area – museums, parks and eateries – especially Golden Gate Park and Downtown San Francisco, when it was still a relatively uncomplicated city. But things got plenty interesting when I was old enough to hop on an AC Transit bus, heading out for a whole day, going anywhere without a cellphone to tether me to my mom, or to anyone else for that matter. In just 15 minutes I could be down on the Berkeley campus, scouring the vendors on Telegraph Avenue, searching for vestiges of the counter culture amongst tie dye shirts and funky jewelry stands on the street, browsing the LPs at Tower Records on Durant (where I scored my vintage copy of the first Blind Faith album), and stopping for a kielbasa at Top Dog just a few doors away. Berkeley generally had an easy balance between the traditional and the new. I’d see elegant jewelry stores and classic mens’ clothiers that had been there for decades, juxtaposed against psychedelic poster shops. I felt anonymous in the midst of the bustle of students and the many people who gravitated towards the accepting feel of the area, but I always considered myself a part of the action­­. Berkeley was my city, too. 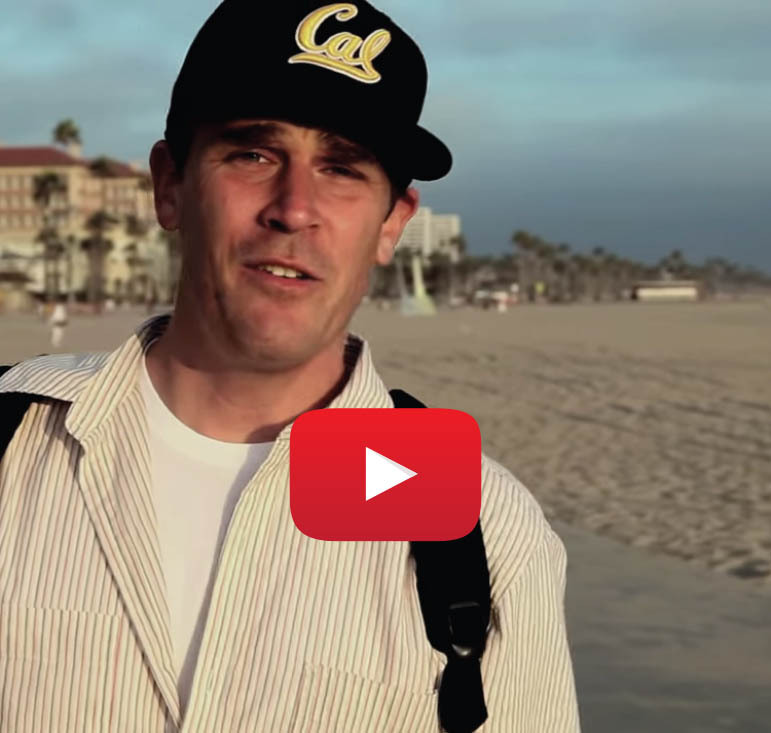 Being from Berkeley deeply influences how I live and how I work – and especially how I approach design. For me, the beauty and inspiration of Berkeley is how passionate people are about every issue, and how the traditions and roots of the city are embraced just as vigorously. These two forces – espousal of activism and a respect for what’s always been, are to me the defining currents in the functioning of the city. Oh, and food. Especially the food. When I design, I think about what’s traditional as well as classic, and seek what’s new, quirky, noteworthy and clever. Berkeley is rich ground for design inspiration. It’s true that Berkeley has a long history of alternative thinking, stretching back well before the Free Speech Movement of the 1960s. In between the two world wars, Cal was able to lure esteemed intellectuals like Ernest Lawrence from East Coast institutions – Harvard among them – with the promise of the academic freedom to mingle ideas and concepts with other departments – common today, but revolutionary in the 1930s. As the events of the 1960s incubated – the Civil Rights Movement and the Vietnam War, radical changes in music, an expanding drug culture – The Free Speech Movement erupted on the Berkeley Campus. It’s interesting to consider that the immediate issue at hand was the students’ desire (and right) for freedom of expression on campus, something we now take for granted. The urge to protest is alive and well, but the days of truly outrageous demonstrations and Hare Krishnas on every corner have passed. What largely remains is intellectual creativity and next-level curiosity, the kind of environment that attracts students, professors and yes, disruptors, from all corners. I expect to encounter a twist or bend to the mainstream, which I find delightful and prickly all at once, and which spurs me to higher creativity in my design work. Berkeley shines brightest when it comes to food. 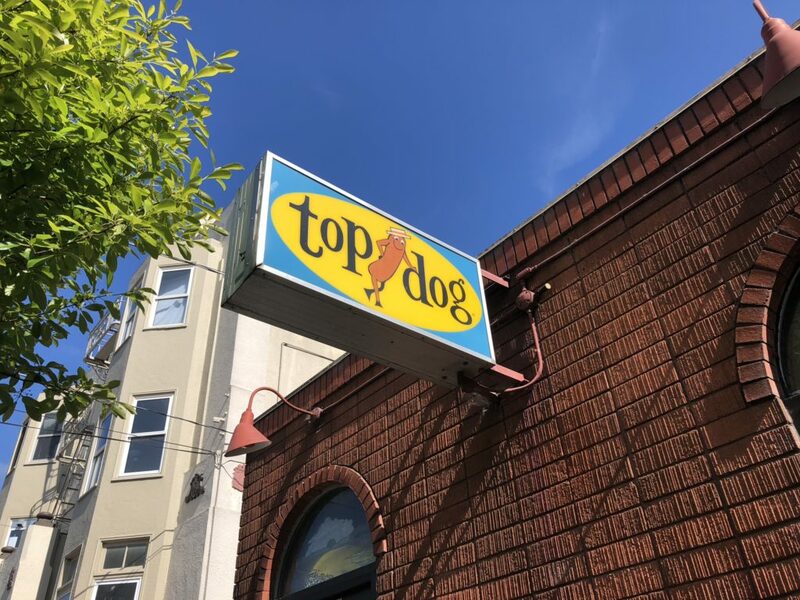 Enthusiasm about the preparation and consumption of food in Berkeley cannot be underestimated — cuisine innovators abound. A favorite food destination is the “Gourmet Ghetto” area, which perfectly expresses how Berkeley embraces both the common and the esoteric aspects of food culture. 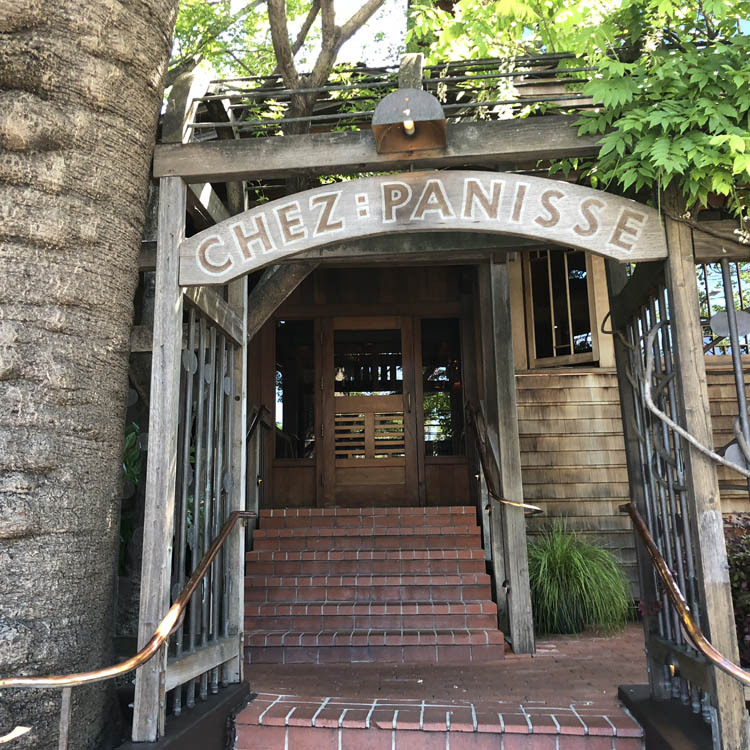 Thanks largely to Alice Waters, founder of Chez Panisse in 1971, Berkeley became the vanguard for a dramatic evolution in how both California and much of the western world regards food. Waters created dishes using the finest quality locally sourced foods, dished up in an intimate setting reminiscent of a private dinner party. Around the same time, the Cheese Collective opened across the street from Chez Panisse, an employee-owned cheese store and bakery that features literally hundreds of cheese varieties. Many nights of the week, the line for their pizza of the day – they only make one type, each day – stretches around the corner. Your only choice is how many pies you want. Berkeley bakeries started to flourish as well. 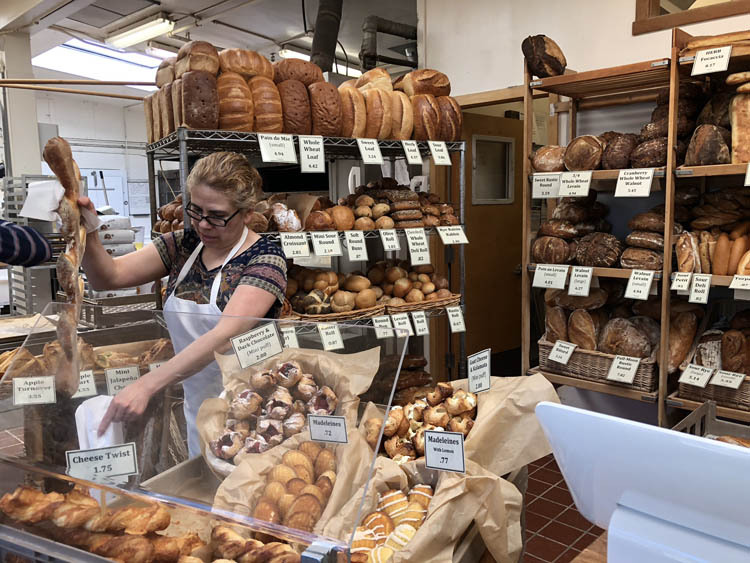 Acme Baking and Semifreddi opened in the early 1980s and continue to thrive with a delicious range of artisan breads each day. 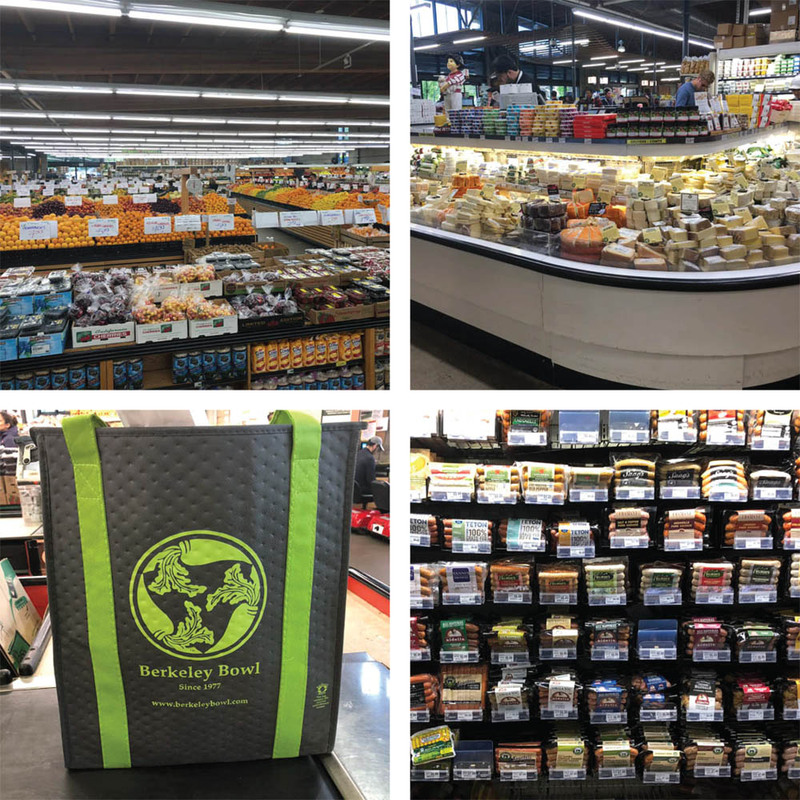 The Berkeley Bowl, so named for the old bowling alley that was their first location, initially featured an extensive offering of well-priced produce. Today, the Bowl has two massive locations and sells everything from organic produce to cheese, bread, pastries, meats, flowers, household staples and prepared foods. It’s always bustling, and always fascinating. Shoppers cruise the aisles with the intensity of bounty hunters. 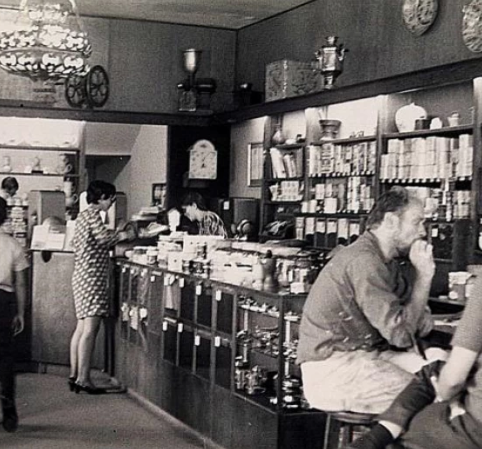 Berkeley is also the home of the first Peet’s Coffee, also located just around the corner from Chez Panisse. For all intents and purposes, it is the home of artisan coffee in the U.S. Founded by Alfred Peet, the goal was to bring high quality of coffee to the U.S. Eventually Peet sold the business, but not before advising a little Seattle coffee company, Starbuck’s, and sharing his suppliers with them. Original Peet’s at Walnut and Vine features a little coffee museum, tracing the trajectory of my favorite coffee company, and is perhaps the best place in town to get a quick overview of the range of people who populate the city. There is a physical beauty about Berkeley that absolutely enchants me. 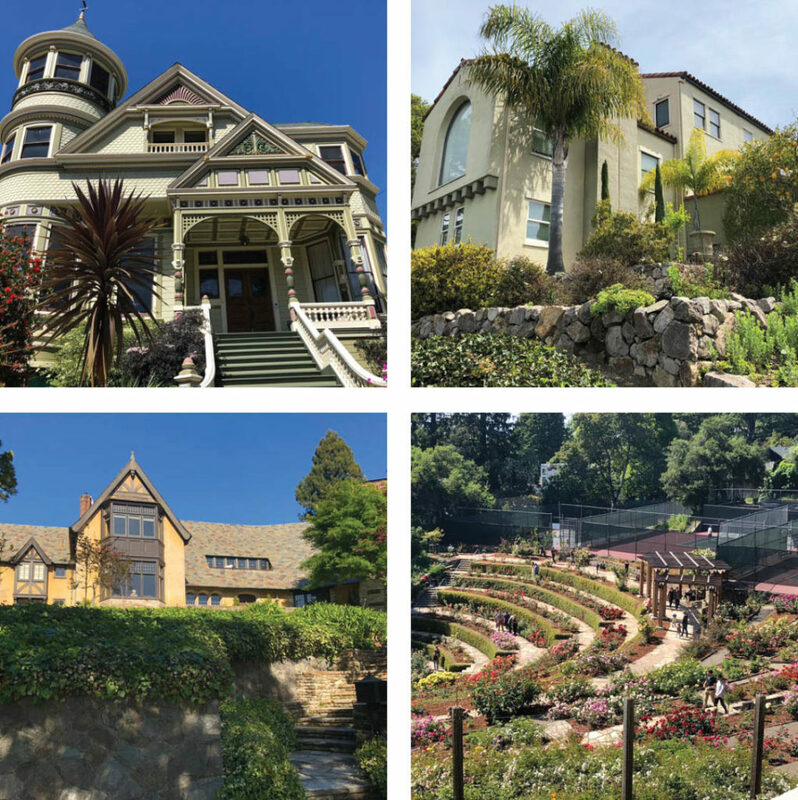 As you head east from the San Francisco Bay, you may pass old Victorian homes, see lovely downtown buildings like the Berkeley City Club designed by Julia Morgan of Hearst Castle fame, or the Art Deco Berkeley Public Library. You’d probably end up on the Cal campus with its Beaux Arts architecture, quiet wooded groves and grassy fields alongside Strawberry Creek. As you reached the hills, you’d find the Greek Theatre and Memorial Stadium where our Golden Bears battle, and pass by the Berkeley Rose Garden, a Depression-era Civil Works Progress Project. But by far the most inspiring architectural projects are the lovely homes in the hills, each one different than the next, each with a unique little garden – no water hogging lawns here – on twisting, narrow streets boasting stunning views of the Bay. Here you see the elegance and sophistication of the past juxtaposed with the individual expression that is the hallmark of Berkeley. You see how people so carefully preserve what was built long ago, and also embrace fresh ideas about sustainability. My parents continue to live in the house where I was raised, making visits to Berkeley a frequent pleasure. Although I moved away some decades ago, every time I visit I feel refreshed and inspired. The city buzzes with an infectious energy that lures me into exploration. 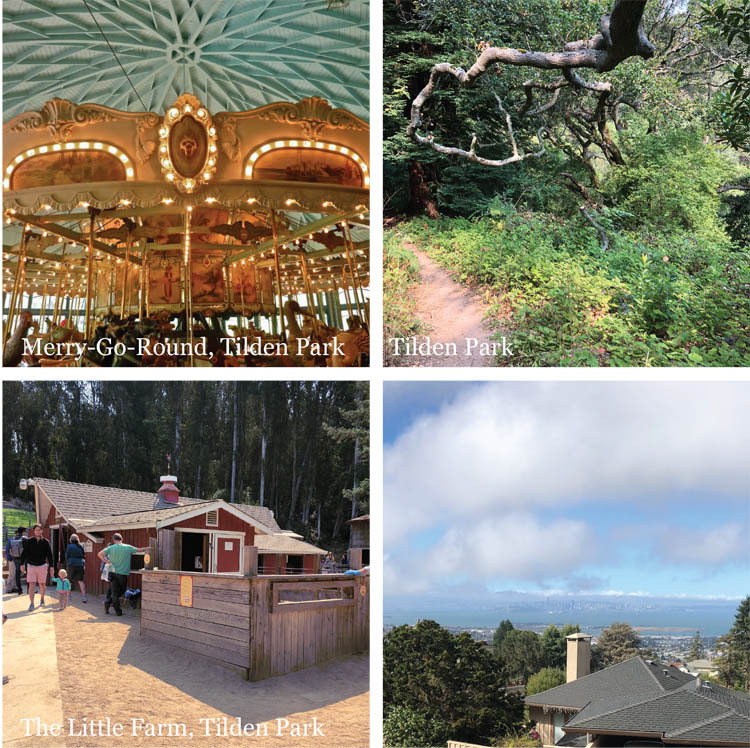 It’s wonderfully easy to roam Berkeley, maybe starting at the Bay visiting the Marina and Adventure Park, and 20 minutes later hiking the eucalyptus groves of Tilden Park. I urge you to visit and experience the delightful melding of what’s fresh and, that which endures.